The combined forces of PDEA-CAR Provincial Offices of Benguet, Mt. 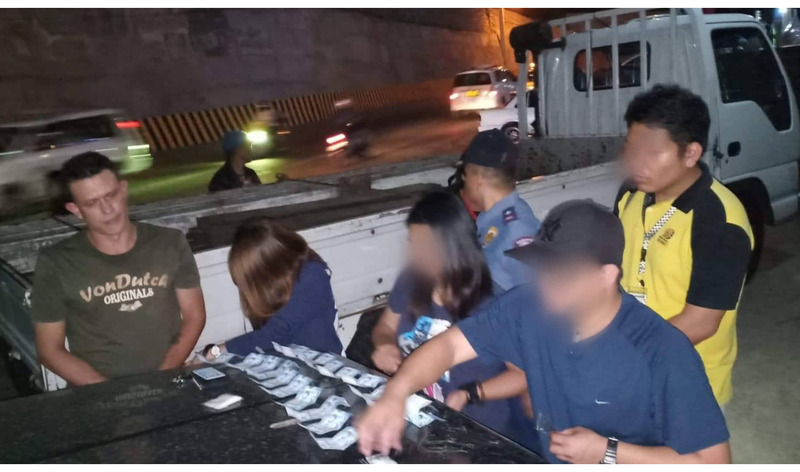 Province, Apayao, Baguio City, and Baguio City Police Office Station I arrested a drug group leader operating in the City of Baguio. Law enforcers identified the group leader as Daniel Tan Cole a.k.a TISOY, 41 y/o, single, Filipino, a businessman and his member identified as Rachelanne Ormita a.k.a Rachel , 29 y/o, single, Filipino, with no known occupation. PDEA-CAR operatives led by IA V Charlton John Carame, Provincial Officer for PDEA-Benguet confiscated more or less Thirty-three grams (33) worth PHP 224, 400.00 of SHABU and Safari Nissan vehicle believed to be used in illegal drug transaction from the drug group leader and his cohort in a buy-bust operation at Coyeesan, San Luis, Baguio City in the evening of April 8, 2019. Arrested suspects will be charged for violation of R.A 9165, or The Comprehensive Dangerous Drugs Act of 2002.